For better of worse, I sometimes think maybe I could write fiction. 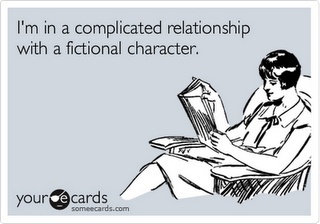 Give the reader at least one character she can root for. Be a sadist. No matter how sweet and innocent your main characters, make awful things happen to them in order that the reader will know what they’re made of. Give your readers as much information as possible as soon as possible. Write no more than 10,000 words. Take classes and go to workshops. Forget about inspiration and talent; persistence and stubbornness are the keys. Don’t worry about imagination – your journal writing will take care of that. I love number six from Octavia E. Butler. I find inspiration everywhere…I don’t know about talent 😉 but you DO have to be persistant and stubborn, it’s too easy to get several dozen rejection letters and quit. Thanks! It’s funny when I first heard number 6, I kind of had someone in mind, but then after I thought about it for a while, if you write to please one person, shouldn’t that one person be yourself? Whenever I do art, without reservation it’s always been for myself. Now that I think about it, I don’t know why I wouldn’t have the same approach to writing. Good luck on your novel! Let me know how it goes. This reminds me of Vonnegut’s advice for short stories.